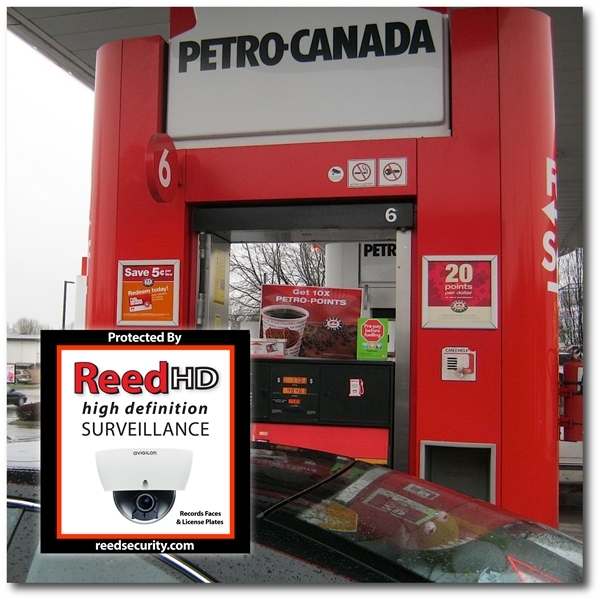 Who - Creighton Petro Canada, Peter Ballantyne Developments L.P.
Why - Protect the Client and Building from Theft. Protect the Client and Buildingfrom Intrusion and Fire. Easy-to-Use Video Management Software allows the client to display cameras on public awareness monitors as well as on a 42" Flat Screen TV. All HD video can be accessed remotely in Prince Albert and Saskatoon via high speed internet (by iPhone, iPad, Android apps or PC). A loud external siren with flashing strobe light creates of attention during an alarm - the bad guys time on site is limited and theft is reduced. "We found your crew to be very cooperative and helpful. Our site manager, Cheryl, seems pretty happy with this system. Overall to date we are pretty satisfied with the service we have received". Why - Protect the building from Intruders after hours. Protect the building from FIRE 24 Hours. Restrict Access to the building during the day and after hours (and no more re-keying). Audit Reports - These tell you exactly what time visitors entered a door. Great for Time & Attendance! Receive 5% OFF all access control kits for the month of October. Estimates are always FREE! Contact Reed Security today by Clicking Here or calling 306.653.3200. Don't Wait. Save Hundreds Today! We've had another successful year and and we can afford to reduce some pricesfor the month of October. We hope this helps you out. New Clients only. Requires a 36 Month monitoring agreement. 1. FREE Upgrade from Simon XT to Simon XTi with Interactive Touchscreen ($100 value) They're beautiful! 2. GE Wireless Surface Mount Door/Window Sensors - Buy 1 for $80, Get 1 FREE ($80 value) WOW!